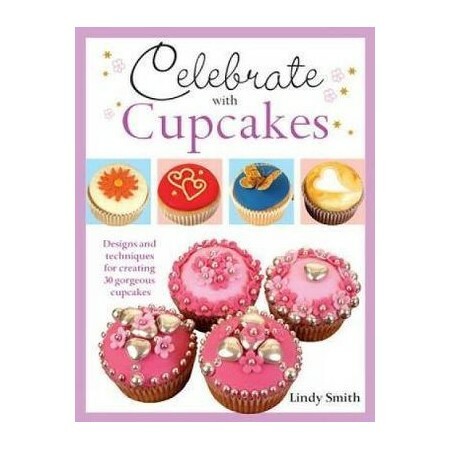 Celebrate any occasion with 30 beautiful cupcake designs from best-selling cake decorating author Lindy Smith. Each unique cupcake design includes expert sugar crafting tips and techniques, easy step by step instructions and gorgeous full colour photography to help you achieve professional looking cupcakes for any occasion, from birthday cakes and children's parties to cupcake wedding favours and anniversaries. Discover delicious cupcake recipes, exciting cake decorating techniques, inspiring ideas and expert tips to make your cupcake designs perfect every time, and learn how to create simple but effective cake toppers and decorations, including sugar flowers, sugar animals, hearts, fairies, bats, crowns, bears, swirls, stars and more! Lindy Smith is a British Sugarcraft Guild accredited demonstrator with over 20 years experience in sugar-crafting and is the author of eight best-selling cake decorating books. She runs a successful cake decorating business and online shop, called Lindy's Cakes Ltd, and teaches cake decorating and sugarcraft courses all around the world.